This reminds me of one of my old posts: http://shawnbird.com/grace/greek-love/ You have some different ones. Shawn…I took my list from a desk copy I found in the faculty lounge…a textbook on Interpersonal Communication. I like your series too…it completes mine. 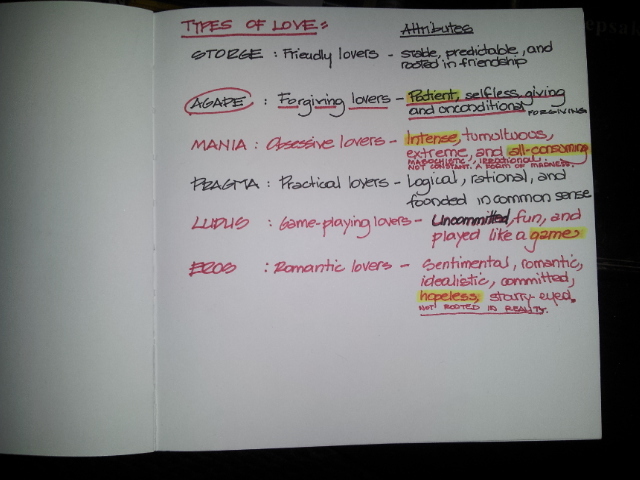 So many words and thought concepts for what English flattens as ‘Love’. I envision an art show…each piece representing an abstraction/collage of each love type. “blush of time”, “shedding skin”. You do have a way with words.